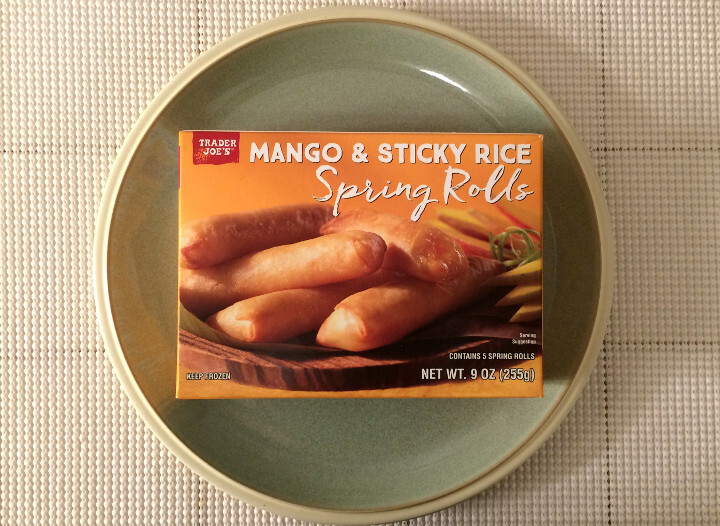 The Trader Joe’s Mango & Sticky Rice Spring Rolls are a simple dish. 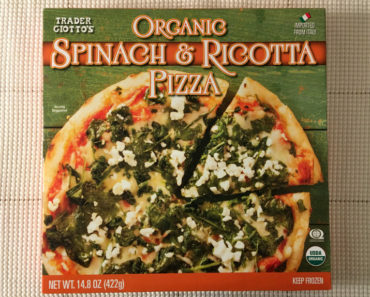 The ingredients list is just a few lines long, as opposed to more manufactured food items that take up a whole paragraph when they list out their ingredients. 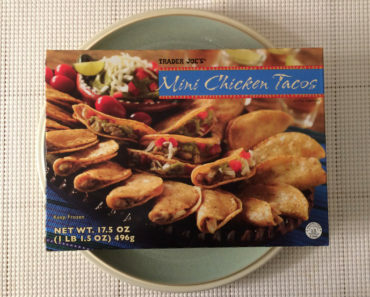 We wanted to see how this simplicity translates to flavor, so we grabbed a box of these at our local Trader Joe’s so we could test them out. 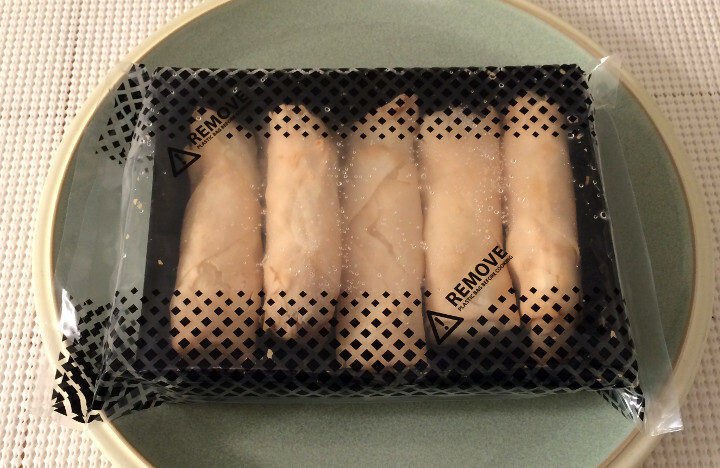 When you first open the box, you’ll find a plastic bag, and inside that is a plastic tray containing five spring rolls. 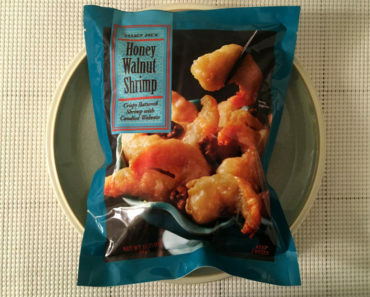 The instructions on the box say you can fry these in a pan with some vegetable oil, or heat them on a cookie sheet in the oven. We went with the latter cooking method, and we think that was a great choice here. 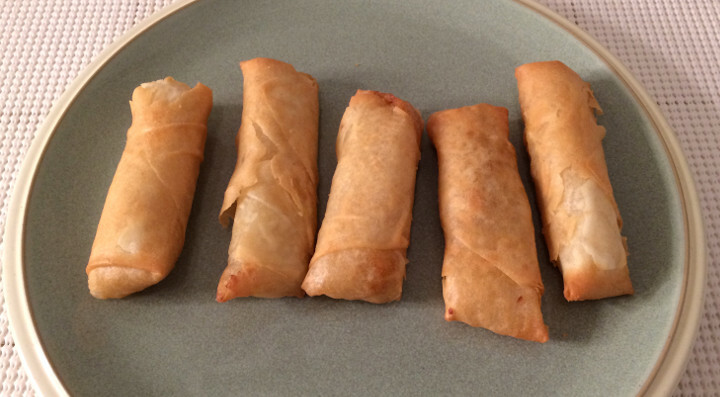 The outer shells of these spring rolls ended up with a nice bit of crisp — the perfect amount, really. The flavor here comes primarily from the mango, so these have a sweet, fruity, delicious taste to them. 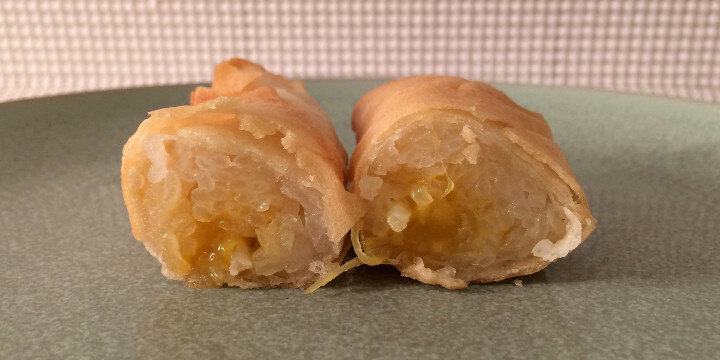 The sticky rice really does a good job of providing a buffer for the mango sweetness while giving it the starchy consistency you’d expect from a spring roll. We did find the flavor to get a little too rich after eating multiple spring rolls, so we’d say that two is probably the perfect amount. Anything after that and you’ll have diminishing returns on the enjoyment level. The crispy outer layer, when combined with the sweetness of the mango, ends up having a taste almost like fried bread. It also has a deep-fried consistency, which means we were constantly wiping our fingers on a napkin to get rid of the grease. 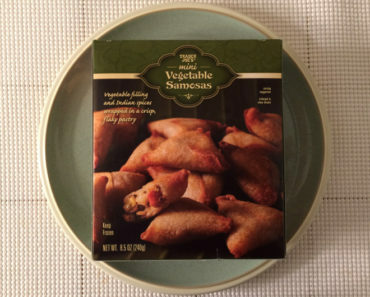 The box lists a serving as two spring rolls, and, as we mentioned earlier, we think that’s probably the perfect amount. Of course, there are five in a box, so you’ll have to buy two boxes to end up with full servings rather than two and a half. One spring roll contains 125 calories and 170 mg of sodium. 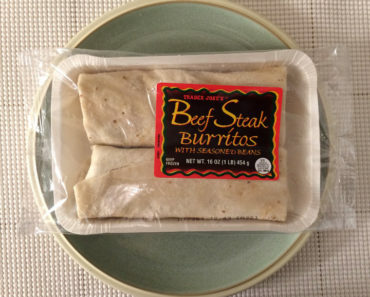 That means two would have 250 calories and 340 mg of sodium, while a full box contains 620 calories and 840 mg of sodium. 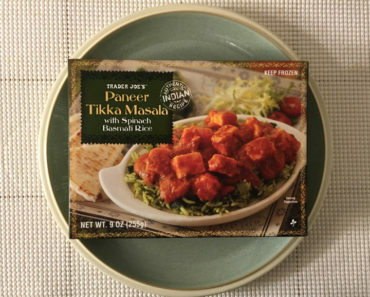 Yes, a full box is probably a little too much (though we admit we ate our whole box in one sitting). To learn more about the nutrition or ingredients in these frozen spring rolls, check out our package scan below.